NBC Chicago, among other outlets, are reporting this morning that 15 passengers were injured during a shuttle bus accident on I-190 while heading in to Chicago O’Hare airport. Apparently the bus crashed into a median around 6:30 a.m. this morning, tossing passenger around in the bus. A total of 10 ambulances were called to the scene and 15 passengers were injured and taken to various hospitals around the city. Fire officials said four people were transported in critical condition, five in fair-to-serious condition, four in good condition and two people refused treatment. Robert Gembala, another firefighter who also witnessed the crash, immediately rushed onto the bus and began assisting injured passengers. “It was unbelievable what they did,” said firefighter Steve Siavelis, who was on the first fire truck to arrive at the scene. Injuries varied, Sampey said, with passengers at the front of the bus experiencing the greatest impact. This is the second major accident that has happened in or around O’Hare this year. This Spring, a CTA blue line bus failed to stop when arriving at the airport and crashed up and over the tracks into an escalator. Several passengers were injured in that accident as well. Hopefully those critically injured this morning heal quickly and that there are no fatal injuries. If you or someone you love has been injured in a Chicago bus accident or a Chicago CTA train accident, then call Chicago personal injury lawyer, Aaron Bryant, for a free legal consultation at 312-614-1076. Both the Chicago Tribune and Chicago Sun Times reported last week that Karen Finley, the onetime CEO of Redflex, John Bills, a former Chicago city official, and one of Bills’s friends are facing charges of wire fraud, mail fraud, bribery, and conspiracy to commit bribery, with Bills also facing a charge of conspiracy to commit extortion. The charges have been filed in Federal Court in the Northern District of Illinois. Finley, who was CEO of Redflex until February of 2013, allegedly passed bribes to Bills via Bills’s friend, Martin O’Malley, in exchange for Bills’s help in receiving the red light camera contracts. Those contracts eventually led to $124 million going to Redflex, the Sun-Times said. Last February, the city chose to block Redflex from bidding on on further traffic camera contracts, in the wake of the scandal, and eventually it chose a Xerox unit as the new red light camera operator. This should not come as a surprise as both Redflex and Bills have come under scrutiny since last year when it was determined that alleged corruption was involved in the bidding process. As a wrote several weeks back, Redflex has also been named as a defendant in a class action lawsuit alleging that they were unjustly enriched from money they received as the red light camera operator because it was alleged that the contract was received through bribery. This is just another example of how controversial red light cameras have become in Chicago. There are some critics out there, including myself, that believe red light cameras do not actually make intersections safer and are merely a money grab by the city. I will be following the class action lawsuit closely along with the federal charges. 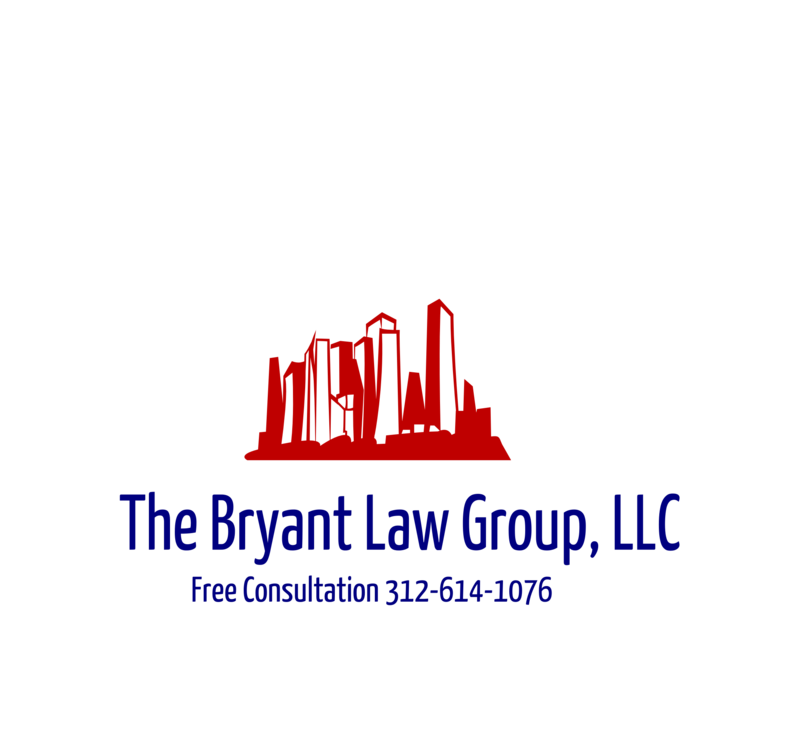 If you or someone you love has been seriously injured in a Chicago traffic accident or Chicago truck accident, then call Chicago injury attorney, Aaron Bryant, for a free legal consultation at 312-614-1076. If you are not familiar with uninsured or underinsured motorist coverage, then above title may not mean much to you. If you have auto insurance, you have the option to purchase uninsured or underinsured coverage, which provides you coverage for bodily injuries should the driver that hit you not have insurance or not have enough insurance coverage, depending on the severity of the injury. If you involved in a car accident with a driver without insurance and are injured, this type of insurance coverage is used to pay your medical bills, lost wages and for any pain and suffering and/or disfigurement. Often times, I have been able to settle these types of cases for my clients without going to an arbitration. If settlement with the insurance carrier is not possible, then we appoint an arbitrator and the insurance company appoints an arbitrator and the two then pick a third, neutral arbitrator. A hearing is then held where the arbitrator issues an award. The hearing (or arbitration) is similar to a trial except there is no jury and the amount of witnesses is limited as evidentiary requirements are waived for certain things like medical bills, medical records and photographs. This is a quicker and less expensive way to adjudicate a case. This week, Governor Quinn signed House Bill 5575, which raises the limits for the right to reject arbitration awards under underinsured/uninsured motorist insurance policies by 50%. The old limits were $50,000/$100,000 and are now raised to $75,000/$150,000. Previously, the insurance companies could reject an award for an individual that was over $50,000 if the policy limits were only $50,000. Now the insurance companies would only be able to reject an award if it was over $75,000. You can read the entire bill by clicking here. This is a victory for those who are seriously injured in car accidents by drivers who do not have insurance or are underinsured. I cannot stress how important it is for drivers to purchase full coverage insurance. You never know if the other driver who causes the car accident has insurance or not. What if you are injured by an uninsured motorist and unable work and support your family? Purchase full coverage, so you know you and your family will be protected. I wrote recently about the Chicago Tribune investigative article about abnormal spikes in red light camera tickets at various locations around the city. This story made news headlines around the country. The City Council responded last week with a hearing on the issue and announced that they were going to give ticket recipients a chance to appeal. At a hearing of the City Council Committee on Pedestrian and Traffic Safety, Transportation Commissioner Rebekah Scheinfeld said the city’s Finance Department will send letters to approximately 9,000 motorists who were issued a red light camera. Those people will be invited to get a new review of their case, and if it’s found the violation was an error, they’ll get a refund. “It is important to note that there are always spikes in any automated enforcement system due to fluctuations in traffic volume and driver behavior where cameras are located. For example, if a street is closed for construction, increased traffic flow on an adjacent street or alternate route might drive up violations for a period of time during that construction. The occurrence of special events or severe weather can also create significant changes in traffic patterns,” she added. In particular, she noted one spike cited by the Tribune — at 119th and Halsted in May and June 2011 — appeared to be the result of a project to repair the 111th Street and 115th Street bridges over Interstate 57. Shcheinfeld said the city believes drivers likely used Halsted to bypass the construction work by exiting I-57 at 99th and Halsted, then heading south to 119th Street to get back on the interstate. I have called into question the validity of red light tickets from the beginning. Both former Mayor Daley and now Emanuel have stated over and over that the red light cameras (and speed cameras) are used for safety purposes. I have written in the past and still believe that this is a ruse and merely money grab by the city. There have been studies around the country concluding that red light cameras actually make intersections MORE dangerous because drivers stop quickly and increase the chance of a car crash. You can read one particular study here. Now we learn that thousands of these tickets may have been erroneously issued. Prior to that we learned that Redflex, the company that handled the speeder cameras, bribed their way into their contract with the city. This lead to a class action lawsuit against Redflex for being unjustly enriched for the work done for their city based on illegal bribes. I have to ask, when to we finally call for end to these types of tickets? I have to give the city some credit for at least recognizing the possible errors here and the potential for ticket recipients to be refunded their money. If you or someone you know has been seriously injured in a Chicago car accident or Chicago truck accident, then call Chicago personal injury lawyer, Aaron Bryant, for a free legal consultation at 312-614-1076.